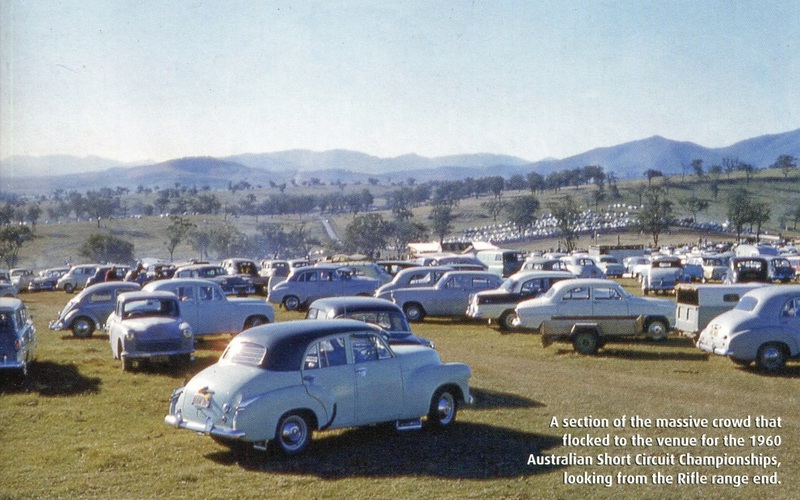 Hillview Short Circuit track was instigated by the local Lions club in 1956 when they wrote a letter to the council seeking permission to fence of an area of the town common as a motor racing track. The council who were in favour of the project submitted the plans to the Lands Department and granted permission the build and operate the venue in late 1957. The late Les Brown was a New South Wales Police Officer attached to Special Traffic Patrol (Motorcyclist) at Scone and later Muswellbrook, He then later transferred to Taree and performed Detective Duties before resigning, and he also served two terms at Taree as Lord Mayor. 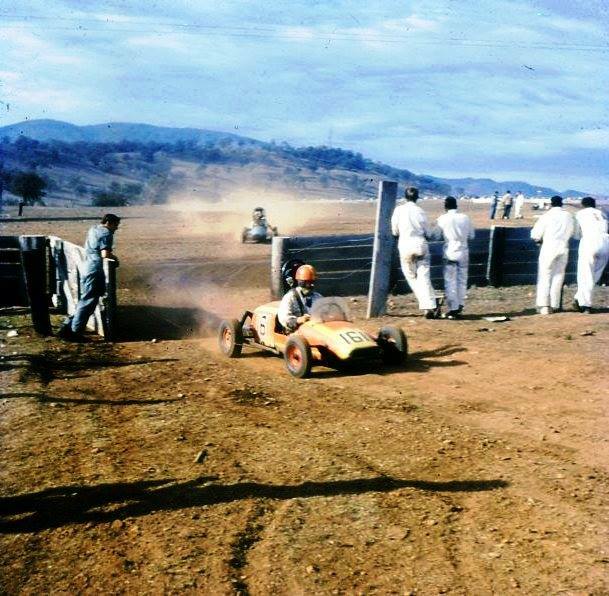 Les Brown and Lem Rose were just two members of the Apex Club who were instrumental in the building of the Hillview Circuit, Lem Rose is quoted as saying that Brown walked around an area with a grader following and that is how the track came about in an impromptu manner. 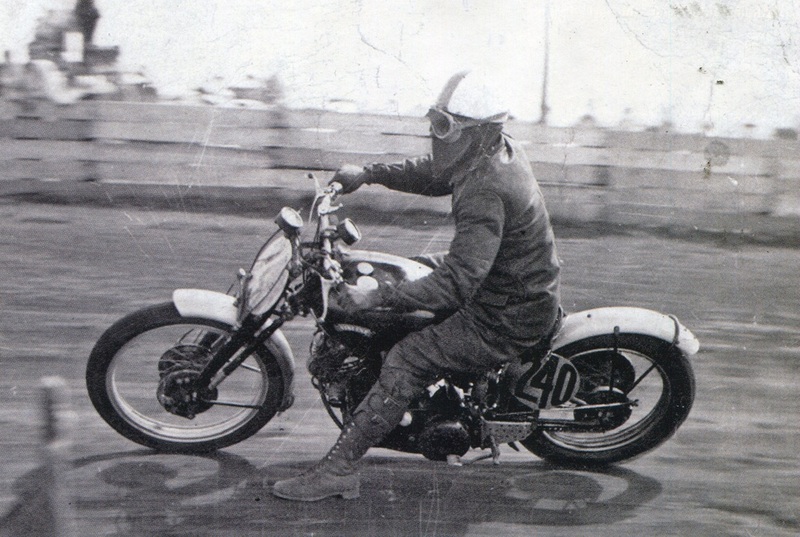 John Dunscombe rode his Vincent Black Lightning in both solos and sidecar form during the 1960 title. Photo: unknown. 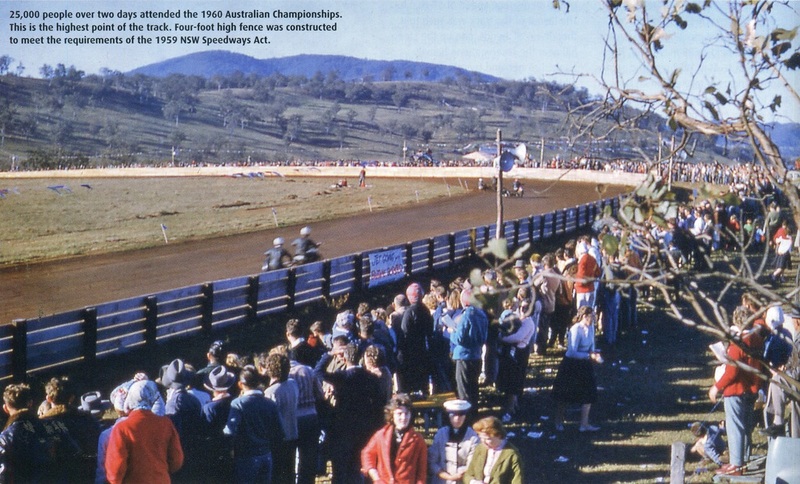 At the Australian Championship in 1960 the then Preident of the Apex Club, Mr B Love referred to the development of the circuit as Len Brown's "brain wave", in recognition of this the "track committee" of the Apex Club in May 1962 resolved that the bottom straight be named the "Les Brown Straight" as a token of his work in founding the Hillview Circuit. 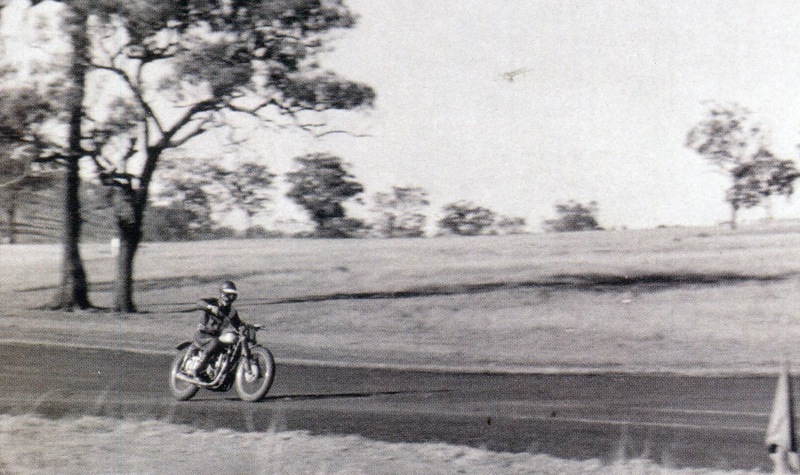 1960 Junior Australian title winner John Rumford.Photo: unknown. provided heavy equipment, Lem Rose used his truck to collect sump oil from the local service stations on a Friday afternoon which was then spread using the bitumen sprayer. The local newspaper, The Chronicle of the 15th, 1958 reported on the progress of the track construction, it indicates that up to that point 1,500 gallons of oil had been laid with an anticipated 6,000 gallons to follow. Officially named as the Apex Motorcycle Track all advertising simply referred to the venue as Hillview Raceway, The Apex club was involved in the maintenance and catering, however promotion of the racing events rested with the Cessnock Motorcycle Club, This club was not new to promoting as they had done so at a local circuit not far from the Cessnock Showground named Ashley's Paddock in early post war years, Then later there was the Jubilee Motorcycle Circuit near South Cessnock which closed when the club took on promoting at Muswellbrook. The initial safety fencing by todays standards was rather crude, An earth bank was built ten feet outside the track and a further ten feet away from the main safety fence of railway sleepers and one inch mine cable, An ordinary post and wire fence was erected another ten feet outside the main safety fence, Not counting the incredible number of man hours the Apex Club spent 8,000 pounds in the construction of this circuit and the facilities, Although crude by todays standards this complied with the regulations of the Auto Cycle Union, But in mid 1959 new regulations regarding safety fences were brought into force to comply with the new NSW Speedway Act. This necessitated the building of a new forty inch plank fence in front of the spectator areas, and a 1,000 pound overdraft was obtained by the Apex Club to purchase the necessary timber, The fence was erected at a tremendous cost both in finance and physical energy. Finally in Febuary 1960 a sufficient amount of fencing had been erected for the venue to be issued with licience to operate. Ironically, after all the work and great expense there was a threat to the existence of the track when the Muswellbrook Coal Co gave notice that they intended to exercise their right of claim for a surface mineral lease of the area, It appears that some negotiations were entered into and the mining of the area did not take place.